Everyday looks better with flowers from Blinging Up Daisies... Call us today! 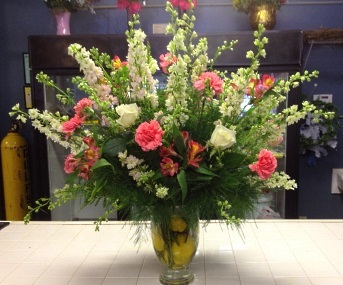 We're a local Apalachicola, Florida florist with a lovely variety of fresh flowers and creative gift ideas to suit any style or budget. We hope you enjoy your online shopping experience with secure 24-hour ordering right at your fingertips. 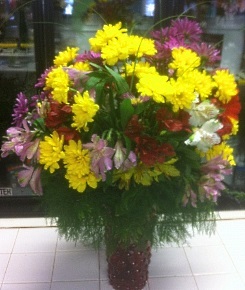 If preferred, you may call us to place orders direct at 850-899-1588. 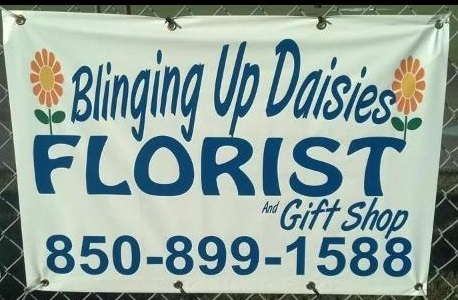 Call Blinging Up Daisies in advance at 850-899-1588 and set up an appointment for a consultation. We also carry a line of gift items, made right here in Apalachicola and Franklin County. 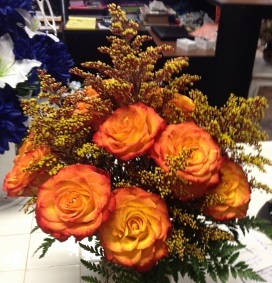 Thank you for visiting our website with flowers delivered fresh from your local Apalachicola, FL flower shop and convenient online ordering 24 hours a day!